It’s been a heavyweight bout. 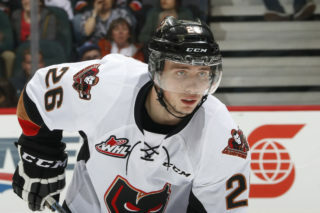 Blow for blow, round for round, the Hitmen and Lethbridge Hurricanes have combined for 24 goals in the first two games of the season series. That’s a lot of goals. 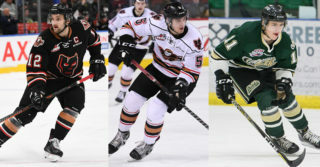 Round three of the season series is set for Friday night in Lethbridge, with both clubs having a win under their belt. 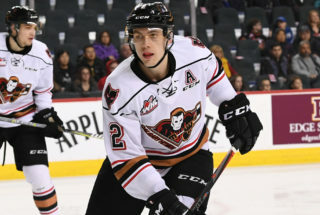 The Hitmen withstood a late rally in the first meeting of the season to take a 6-5 win in what was their first victory of the season on Oct. 12. 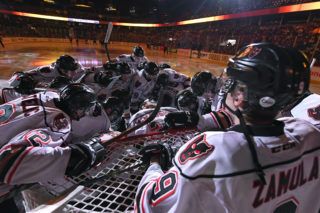 Lethbridge would respond with a 7-6 triumph two weeks later on Oct. 26 in a game that ended up being the last goal wins. 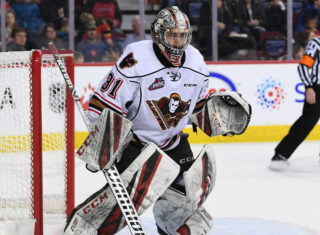 After rattling off three straight victories earlier in the month, things haven’t gone as planned as of late for the Hitmen, dropping several tightly contested one goal games. They’ve been right there until the end but come up just short. With a quarter of the season in the books already, the team knows that it’s only matter of time until the wins start racking up. There’s no question that the effort and compete has been there, especially as of late.